Dena Bank is currently trading at Rs. 15.50, up by 0.45 points or 2.99% from its previous closing of Rs. 15.05 on the BSE.opened at Rs. 15.70 and has touched a high and low of Rs. 15.85 and Rs. 15.30 respectively. So far 169452 shares were traded on the counter. BSE group 'A' stock of face value Rs. 10 has touched a 52 week high of Rs. 36.10 on 11-Jul-2017 and a 52 week low of Rs. 14.80 on 28-Jun-2018. one week high and low of the scrip stood at Rs. 15.85 and Rs. 14.80 respectively. The current market cap of the company is Rs. 3512.82 crore. promoters holding in the company stood at 80.74%, while Institutions and Non-Institutions held 11.37% and 7.89% respectively. Bank has proposed to sell its non-core assets by selling Equity Shares of various entities. In NSDL E-Governance Infrastructure, the bank will sell 6,25,000 equity shares of face value Rs 10 each, which is 1.563% of the total paid up equity share capital of the company and in National Securities Depository (NSDL), it will sell 2,25,000 equity shares (Lot-1) of face value Rs 10 each, which is 0.563% of the total paid up equity share capital of the company. Further, in NSDL, the bank will sell 4,00,000 equity shares (Lot-2) of face value Rs 10 each which is 1.0% of the total paid up equity share capital of the company, while in SIDBI, it will sell 48,00,000 equity shares of face value Rs 10 each which is 0.90% of the total paid up equity share capital of the company. In this regard, the Bank is floating a ‘Request for Quotation’ (RFQ) for purchase of the aforesaid equity shares. 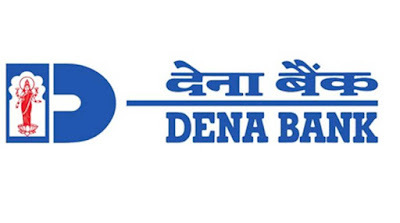 Dena Bank is engaged in providing banking services. Its services include treasury, corporate/wholesale banking, retail banking, mobile banking, phone banking, internet banking, international banking, dena automated teller machine (ATM) services and visa bill pay etc.